Wordfence is a popular security plugin for WordPress users. The plugins' default setting enables cookies, which prevents the DreamPress cache from being able to cache the site. 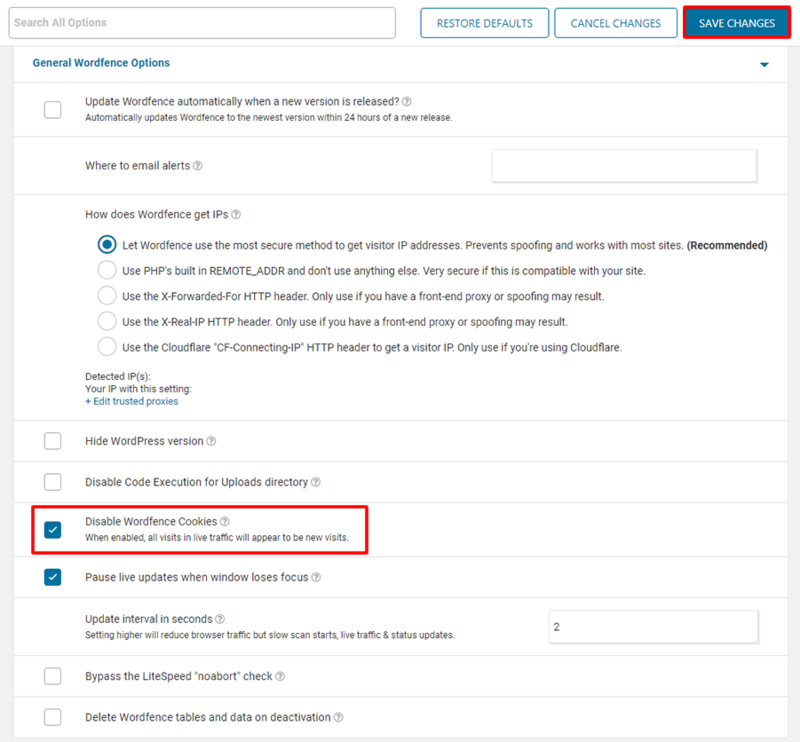 As the DreamPress cache is a key factor in performance on DreamPress, it's highly recommended you disable Wordfence's ability to allow cookies. The following describes how to disable cookies in the Wordfence plugin. Log in to your WordPress wp-admin dashboard. In the left panel, select Wordfence. 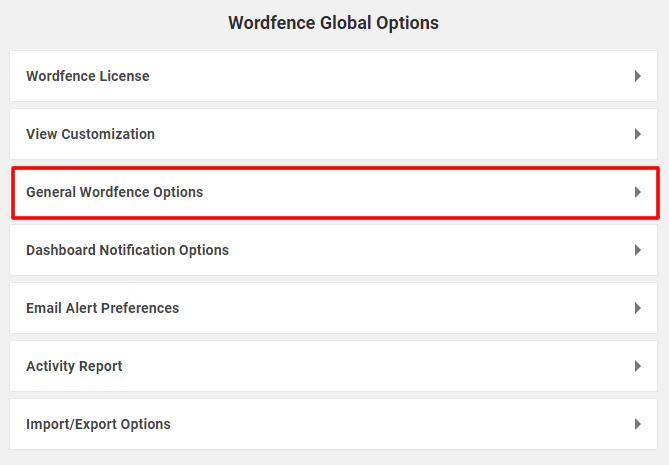 Scroll down and select 'General Wordfence Options' under the Wordfence Global Options section. Select 'Disable Wordfence Cookies' and then click the SAVE CHANGES button on the upper right. After you save your changes, Wordfence prevents cookies and allows the DreamPress cache to properly cache the site. Article last updated March 24, 2019 17:12 PST.